LAKELAND – Following months of research and discussions with academic consultants, Florida Polytechnic University’s Strategic Planning Committee has recommended five degree programs in the College of Innovation and Technology and the College of Engineering. In addition to the strong focus on science, technology, engineering and math (STEM) courses, the proposed degrees incorporate mandatory leadership, finance and management training into all programs. Florida Poly’s first students are expected to begin courses as early as August 2014, and the student recruitment strategy is already underway. The Committee proposed agreements with STEM charter and magnet schools to serve as feeders to Florida Poly. The University will also collaborate with state colleges to implement feeder programs for students looking to transition to Florida Poly after obtaining an associate’s degree. Other strategies include employing a summer studies program for youth modeled after Duke’s Talent Identification Program (TIP) and recruiting international students from South America and Asia. 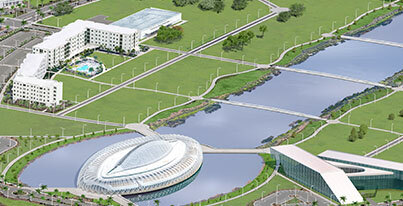 Florida Polytechnic University’s Board of Trustees will meet on April 2, 2013.